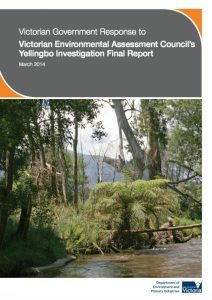 This Government response addresses each recommendation made by VEAC in its Final Report. Responses should be taken to apply to the whole recommendation where no reference to the specific recommendation number and subsection is provided in brackets (i.e. R1 (a)).